Evan Nehring: What About Return on My College Investment? What About Return on My College Investment? One of the first ways someone is likely to push back on the choice of a Christian college is return on investment. Are the degrees issued by North Central University (Minnesota), Wheaton College (Illinois), and Briercrest College (Saskatchewan) going to result in the same salaries as University of Western Ontario, University of Wisconsin, or Harvard? Probably not. Part of the equation is the major you choose. According to Salary.com, some of the least rewarding majors, financially, are: sociology, fine arts, education, religious studies/theology, hospitality/tourism, nutrition, psychology, and communications. Yes, I have two bachelor’s degrees and they are both on that list! I’m not complaining. I chose them. They have other rewards, and there are certainly ways to maximize your living with those degrees on your wall. On the other hand, some of the best paying majors include: engineering, physics, computer science, mathematics, economics, government, international relations, and advertising. You can add value to a high paying major by attending a reputable college. So, should Jesus-followers just take the lesser paying majors and focus on serving humanity more than making money? I don’t think so. That’s a legitimate choice. I obviously made it twice. On the other hand, I've also had to subsidize my income with second jobs throughout most of my adult life. What if I had become a medical doctor and served actively in ministry on the side? Yes, wonderful! And what a blessing financially to the local church! Let me bring it back, though, to values. Many reputable schools offering majors with high return on investment have jettisoned any real concern for virtue. They will push back against your faith. Can you successfully run that gauntlet? Yes, but the first step to success is realizing how challenging it will be. Doing well for yourself and for your family financially is one of many noble objectives in choosing your college. Dawn Dugan. 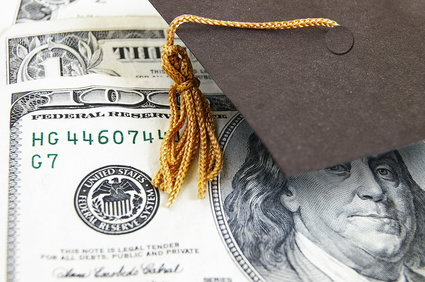 8 College Degrees with the Worst Return on Investment. http://www.salary.com/8-college-degrees-with-the-worst-return-on-investment/. Accessed April 10, 2013. Kelsey Sheehy. College Majors with the Best Return on Investment. September 12, 2012. http://www.usnews.com/education/best-colleges/articles/2012/09/12/college-majors-with-the-best-return-on-investment. Accessed April 10, 2013. So, what do you think about Christian life mission vs. money when choosing a major?